Tirana, our capital is one of four Europe secret cities recommended by British newspaper- The Sunday Times as short break destination. Malmo in Sweeden is in the first place, followed by Zaragoza in Spain, Basel, Switzerland and Tirana, Albania the fourth. 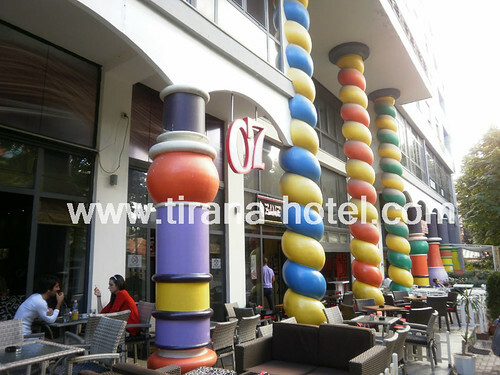 Tirana is described as unconventional and surprising city with trendy bars and restaurants and together with Durres and Kruja make a nice short break destination in Europe. The journalist and the photograph were guests of Albania Holidays. fascinating history, quirk galore and jaw-droppingly low prices: half a litre of beer costs £1, museum entry £1.25 — the opera is only £1.75, for heaven’s sake. It’s not the prettiest of cities, but it has Ottoman, Italian and communist-era highlights, and there are several fabulous day-trip options. Enver Hoxha was the dictator of Albania from 1944 until his death in 1985. His legacy includes a pyramid structure built as a museum to him (now derelict) and, on Ishmail Omera street, a one-man concrete bunker — a reminder of his “bunkerisation” project, which saw the country pebble dashed with 700,000 pillboxes. Now head up to the mountain fortress of Kruja, where the weavers make kilims. The smooth-stoned main alleyway leads past dozens of carpet and souvenir shops, where you can haggle rugs down to about £30 and Hoxha mugs to 50p. Beyond, you enter the 5th-century castle walls that the national hero, Skanderbeg, defended stoically against the Turks — there’s a reverent museum dedicated to him (£1.25). Get to Kruja, 20 miles north of Tirana, by taxi (£25 return) or bus (90p). Or make for the ancient seaside capital, Durres, which sees Albanians in beach mode — it’s a £14 taxi ride. By night: the Blloku neighbourhood shows a metaphorical two fingers to the former dictator. Albanians were barred from the area in his day, but now it’s as good a nightlife centre as any in the Balkans, with boutique shops, restaurants, pavement bars and clubs surrounding the 17 oversized villas where Hoxha and his coterie once slept. The incongruous Sherlock Holmes bar (Bulevardi Bajram Curri) is trendy, with white furniture, arty lighting and a beau monde clientele. Radio (Rruga Ismail Qemali 29/1) is a quirky bar with marvellous cocktails. In low-rise Tirana, the 15th floor feels giddying, but that’s where you’ll find the revolving restaurant Sky Club (skyhotel-al.com), with great views, cheap beer and hesitant rotation. The hotel: the friendly Theranda (00 355 42 273766, therandahotel.com; doubles from £42, B&B) is on a quiet street a short walk from Blloku. The flight: travel from Gatwick with British Airways (0844 493 0787, ba.com) or Stansted with Belle Air (belleair.it).